This term we have 2 new Special Subjects for undergraduate historians on Britain in the 1970s and Race, Religion and Resistance in the United States, from Jim Crow to Civil Rights. As with other Further, Optional and Special subjects, set texts for the courses are available in the Bodleian History Faculty Library, and, where possible, online via WebLearn. The 2 new Special Subjects are still having material added to them in the Library and on WebLearn. Multiple copies of set texts are available in the Library whenever possible. 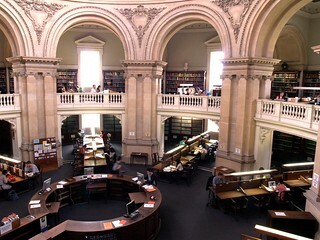 Reference copies of set texts are located in the Upper Radcliffe Camera main level. These reference copies can only be used in the Upper Radcliffe Camera. Photocopying and scanning facilities are available in the Upper Camera. Lending copies of set texts are housed in the main lending collection in the Lower Camera and Gladstone Link. The example below shows the library catalogue record for Tony Parson’s Dispatches from the Front Line of Popular Culture, which has a reference copy in the Upper Camera and two lending copies in the Upper Gladstone Link. Of the two lending copies, one is available to borrow and the other is already out on vacation loan and due back on 14 October 2013. If all lending copies are out on loan you can place a hold on the book to request to use it next. There is also a Bodleian Library reference copy in the Upper Camera. Set chapters or excerpts have been digitised and placed on WebLearn, where this has been possible within copyright limits. Links are also sometimes given to ebooks or related websites. 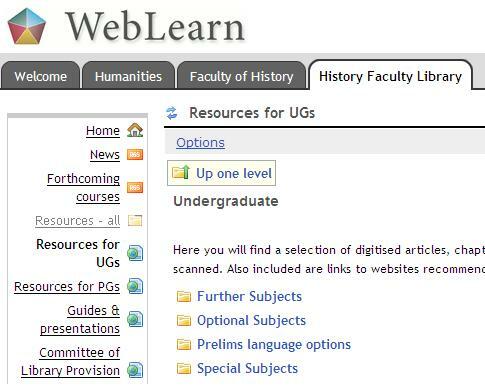 Digitised set texts and online reading lists can be accessed by following the links for your course from our webpage on undergraduate collections or by going to the Bodleian History Faculty Library WebLearn site and selecting Resources for UGs. Can’t find the book you need? If you have a book or other type of material on your reading list and the Library does not hold a copy, please let us know by filling in our book recommendation form. We will then consider purchasing a copy. If the Library does have copies available but you can’t find them on the shelves please report the books as missing using our online form. Library staff will search for the book and can put it on hold for you when it is located. This term we have 2 new Further Subjects for undergraduate historians on the Middle East in the Age of Empire, 1830-1971 and China since 1900. 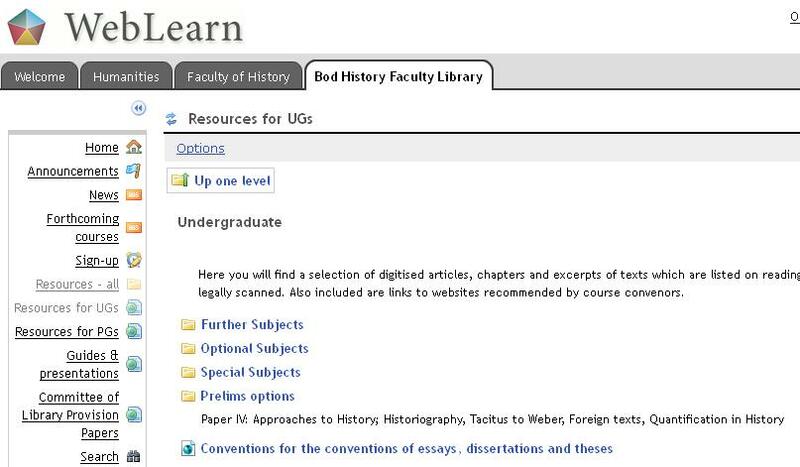 As with other Further, Optional and Special subjects, set texts for the courses are available in the Bodleian History Faculty Library, and, where possible, online via WebLearn. The example below shows the library catalogue record for Fanon’s The Wretched of the Earth, which has a reference copy in the Upper Camera and two lending copies in the Upper Gladstone Link. Of the two lending copies, one is available to borrow and the other is already out on loan and due back on 21 January. If all lending copies are out on loan you can place a hold on the book to request to use it next. BBC Four showed a the first of two part adaption of Braine’s Room at the Top last night, the concluding part will be broadcast tonight. Last night’s episode is available on BBC iPlayer. Room at the Top is an undergraduate set text for the History Special Subject “BRITAIN FROM THE BOMB TO THE BEATLES: GENDER, CLASS, AND SOCIAL CHANGE, 1945-1967”. 2) Multiple print copies of the text, with lending copies in the Gladstone Link and a reference use only Set Text copy in the Upper Camera. Although the Upper Camera is currently closed to readers, staff in the Lower Camera can fetch Set Texts down for readers to use. This term undergraduate historians are taking optional subjects. Did you know that we have print and online collections to help you? Reference copies of set texts for the Honour School of Modern History are kept in a counter reserve collection behind the library desk, and are available on request for use in the library. They must be returned to the desk before leaving. 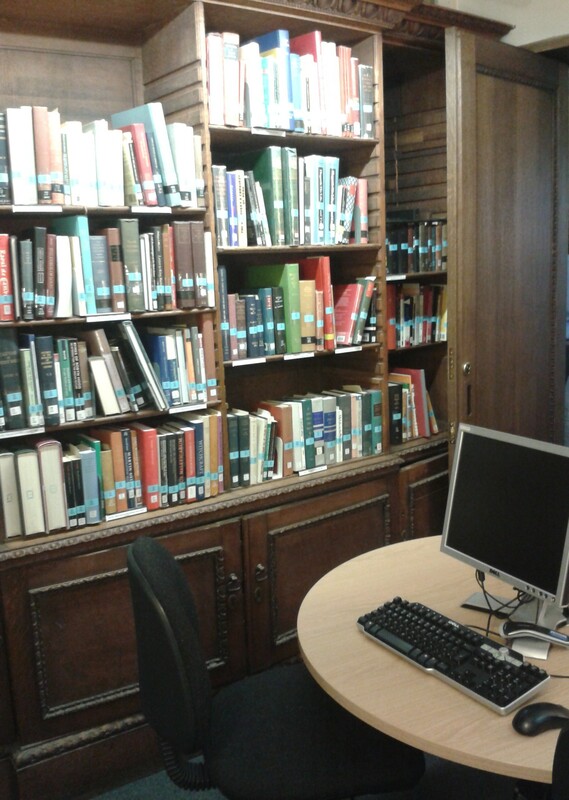 Lending copies of set texts can be found on the open shelves as part of the main collection. The HFL has started to digitise Set Texts where it is legally possible to do so under the CLA License. These selections are available to current staff and students of the History Faculty as eSet Texts on the HFL WebLearn space. Login with your Single Sign-On username and password. See also Undergraduate Collections & Resources for links to reading lists, digitised texts and recommended links by course. Selected Set Texts for the UG Special Subject Britain from the Bomb to the Beatles: gender, class and social chance 1945-1967 have now been digitised and are available from the HFL WebLearn Site. History students should use their Single Sign-On to access it. If you have any difficulties, please contact the HFL. Books and set-texts for the new OS Romance of the People: the folk revival from 1760 to 1914 are now available in the HFL. Printed copies of the Set Texts stand at O/S 168. Selections of set texts and chapters from the reading list have also been digitised and are available from the HFL Weblearn site at http://bit.ly/dtlSkx. 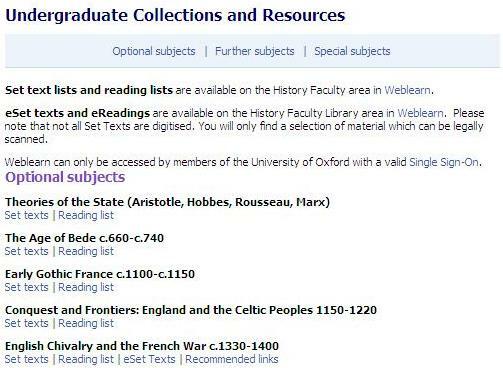 The following document packs are now electronically available for Oxford History students on the HFL Weblearn site. Login with your Single-Sign On password. The following document pack is now electronically available for Oxford History students on the HFL Weblearn site. Optional, Further and Special Subject set texts that were previously available as photocopied document packs are now being scanned and made available online. These can be accessed under ‘Resources’ on the HFL WebLearn space. You will need to use your Single-Sign On to log-in. As these documents will soon be freely available online the HFL will be ceasing its production of new print photocopied packs. Existing stocks will be sold off at a discounted rate until they are all used up. We will therefore also no longer be buying back document packs from students for resale. Any readers with special needs will still be able to request printed copies of individual documents if they wish, please email library.history@bodleian.ox.ac.uk to request these.